They say nothing is permanent except change. Well, we’ve been living proof of that, particularly over the last couple of years. We’ve added new principals and staff members, changed our firm name, moved from downtown to our new digs on Sutter Street, and crafted a new logo. It was a hit—crowning custom cupcakes, anyway—at our open house a couple of weeks ago. To some extent, the quick succession of these changes is coincidental. At the same time, planning proactively for the future of the firm was something well underway for more than three years. You can never predict, but you can reflect. That clicked. Within a year and a half, associate principal Paul Cooper and associate Joelle Colliard joined us. And of course, we welcomed Andrew Wolfram as a new partner in February. As for the new name, that came about when one of our founding principals decided to leave to pursue a different path. 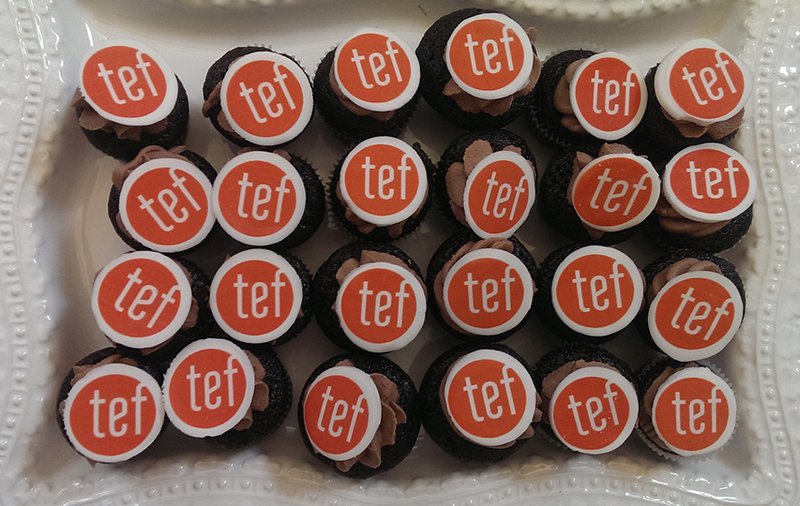 It was easy to become TEF, since it already had a good measure of brand recognition. It worked for SOM, right? That meant it was also time for us to create a new graphic identity and logo. When you have four partners, all strongly opinionated, it’s going to be an interesting discussion. Fortunately, we had a great graphic designer, David Schellinger of lowercase productions, to lead us through a process of exploration and articulation. We wanted something that captured our evolution and excitement about the future. The logo is circular, so there’s a subtext of inclusion, which reflects our practice culture, our relationships with our clients, and our core value of designing projects that serve the community. The scope of our work has also evolved. Because we started out as a small practice, the number of major projects we designed from the ground up was limited. Now, within the next year, we’ll have completed two significant new buildings, the Don Fisher Clubhouse for the Boys & Girls Club of San Francisco and the Stanford Neuroscience Center. In both cases, we were commissioned because of the confidence we had cultivated from clients through our previous work. We’ve even broken new ground assisting our clients with real estate acquisition and development partnerships. These projects evolved from trust. Our clients trust us with more work as our track record for them grows. As co-founders of TEF, Bobbie Fisch and I are trusting our new partners and staff and encouraging them to take on greater responsibility. They’ve organized their own Design Talks, Breakfast Club, and Business Development Training, as well as joining community organizations. It’s true we’ve gone through a lot of changes recently, but they’re all part of a healthy evolution. Next year, look for our new website, too!